How does aging affect memory? Aging may create small decrements in the sensitivity of the sensory register. And, to the extent that a person has a more difficult time hearing or seeing, that information will not be stored in memory. This is an important point, because many older people assume that if they cannot remember something, it is because their memory is poor. In fact, it may be that the information was never seen or heard. Older people have more difficulty using memory strategies to recall details (Berk, 2007). As we age, the working memory loses some of its capacity. This makes it more difficult to concentrate on more than one thing at a time or to keep remember details of an event. However, people compensate for this by writing down information and avoiding situations where there is too much going on at once to focus on a particular cognitive task. This type of memory involves the storage of information for long periods of time. Retrieving such information depends on how well it was learned in the first place rather than how long it has been stored. If information is stored effectively, an older person may remember facts, events, names and other types of information stored in long-term memory throughout life. The memory of adults of all ages seems to be similar when they are asked to recall names of teachers or classmates. And older adults remember more about their early adulthood and adolescence than about middle adulthood (Berk, 2007). Older adults retain semantic memory or the ability to remember vocabulary. Younger adults rely more on mental rehearsal strategies to store and retrieve information. Older adults focus rely more on external cues such as familiarity and context to recall information (Berk, 2007). And they are more likely to report the main idea of a story rather than all of the details (Jepson & Labouvie-Vief, in Berk, 2007). A positive attitude about being able to learn and remember plays an important role in memory. When people are under stress (perhaps feeling stressed about memory loss), they have a more difficult time taking in information because they are preoccupied with anxieties. Many of the laboratory memory tests require compare the performance of older and younger adults on timed memory tests in which older adults do not perform as well. However, few real life situations require speedy responses to memory tasks. Older adults rely on more meaningful cues to remember facts and events without any impairment to everyday living. Can the brain be trained in order to build cognitive reserve to reduce the effects of normal aging? ACTIVE (Advanced Cognitive Training for Independent and Vital Elderly), a study conducted between 1999 and 2001 in which 2,802 individuals age 65 to 94, suggests that the answer is “yes”. These participants (26 percent who were African-American) received 10 group training sessions and 4 follow up sessions to work on tasks of memory, reasoning, and speed of processing. These mental workouts improved cognitive functioning even 5 years later. Many of the participants believed that this improvement could be seen in everyday tasks as well (Tennstedt, Morris, et al, 2006). Learning new things, engaging in activities that are considered challenging, and being physically active at any age may build a reserve to minimize the effects of primary aging of the brain. Wisdom is the ability to use common sense and good judgment in making decisions. A wise person is insightful and has knowledge that can be used to overcome obstacles in living. Does aging bring wisdom? While living longer brings experience, it does not always bring wisdom. Those who have had experience helping others resolve problems in living and those who have served in leadership positions seem to have more wisdom. So it is age combined with a certain type of experience that brings wisdom. However, older adults do have greater emotional wisdom or the ability to empathize with and understand others. Problem solving tasks that require processing non-meaningful information quickly (a kind of task that might be part of a laboratory experiment on mental processes) declines with age. However, real life challenges facing older adults do not rely on speed of processing or making choices on one’s own. Older adults are able to make resolve everyday problems by relying on input from others such as family and friends. And they are less likely than younger adults to delay making decisions on important matters such as medical care (Strough et al., 2003; Meegan & Berg, 2002). Dementia refers to severely impaired judgment, memory or problem-solving ability. It can occur before old age and is not an inevitable development even among the very old. Dementia can be caused by numerous diseases and circumstances, all of which result in similar general symptoms of impaired judgment, etc. 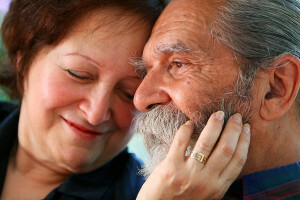 Alzheimer’s disease is the most common form of dementia and is incurable. But there are also nonorganic causes of dementia that can be prevented. Malnutrition, alcoholism, depression, and mixing medications can result in symptoms of dementia. If these causes are properly identified, they can be treated. Cerebral vascular disease can also reduce cognitive functioning. Delirium is a sudden experience of confusion experienced by some older adults. Read the article and listen to the story, Treating Delirium: An Often Missed Diagnosis, for more information on treating delirium and the possible links between delirium and Alzheimer’s Disease.